My hubby loves his egg mcmuffin breakfast sandwich from mcdonalds. Personally they kind of gross me out especially when I try to figure out what exactly goes into them to make it. So I endevored to make it myself. I know, it's ham in the egg mcmuffins but I wanted to give sausage patties a try so it ends up being a compromise. The ingredients is a combination between the recipe listed on the blog queen of the red double wide found here and thrice the spice found here. This was the most time consuming part since I needed to roll/cut out the ground pork into patties. Otherwise this was really easy to do and I plan on doing it again. Mix all the spices into a bowl then combine with ground pork. Mix well then cover and refrigerate overnight or until you have time to roll out/cut out the patties. 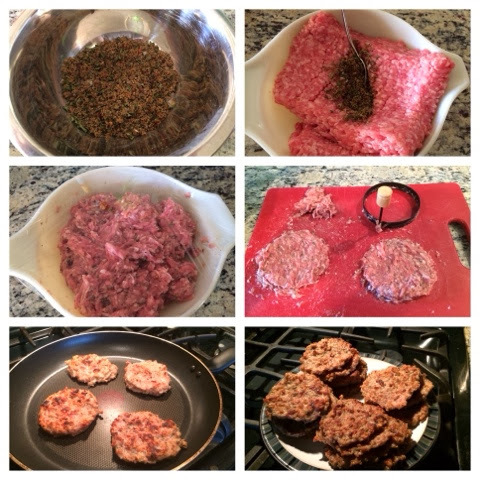 Thinly spread out a layer of the ground pork and cut out patties. Cook until browned and then set aside. Bake the eggs in the oven using Corning ware ramekins. Coat inside of ramekins with cooking spray, 1 egg per ramekin, sprinkle with salt/pepper and poke egg yolk. Bake at 350f for 15 mins then pop out. Repeat as many times as necessary to complete your sandwiches. Toast English muffins (I had a few ciabatta rolls leftover so I used those up first). 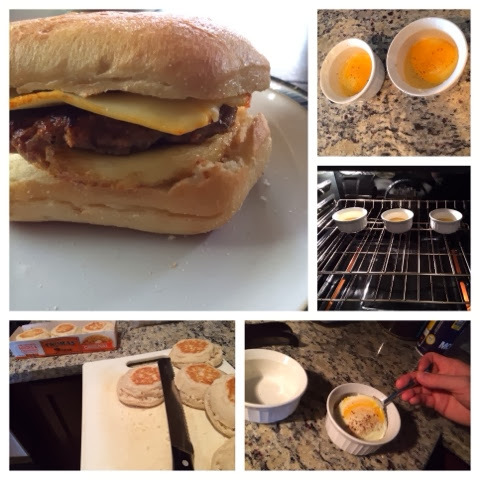 Let them cool then layer with sliced cheese, egg and sausage pattie. Wrap in paper towl and place inside freezer bag. 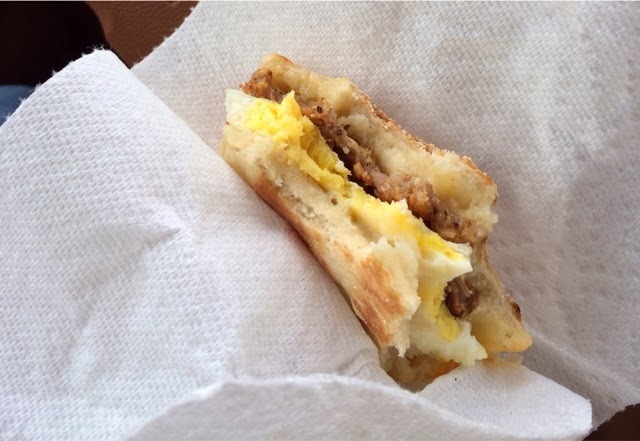 Reheat frozen breakfast sandwich in microwave for 45 sec then flip to other side and reheat for 30. Yum!